NASHVILLE – Agents with the Tennessee Bureau of Investigation served an arrest warrant on a Culleoka man today, charging him with the Aggravated Kidnapping and Aggravated Assault of his former girlfriend. On the morning of October 14th, at the request of 17th District Attorney General Robert Carter and the Marshall County Sheriff’s Office, TBI agents began investigating a report of a kidnapping at 1009 Mill Town Road in Lewisburg, TN. During the course of the investigation, agents determined that Paul Brent Baxter went to that address and abducted his former girlfriend, 35-year old Emma Christina Rowe, at knifepoint. The victim had an active order of protection preventing Baxter, 44, from contacting her. Baxter also assaulted the homeowner, James Griggs. Later in the day, agents learned that Baxter was at an apartment at 609 Landers Street in Shelbyville, Tennessee and that he was possibly holding Emma Rowe there. This afternoon, TBI agents, working alongside deputies from the Bedford County and Marshall County Sheriff’s Departments, arrested Baxter at that apartment complex without incident and charged him with Aggravated Kidnapping, Aggravated Assault, Domestic Assault and Vandalism. Emma Rowe was transported from the apartment to a Shelbyville hospital for medical treatment. 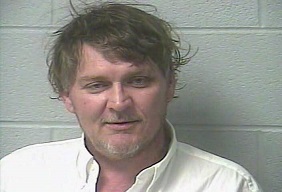 Baxter was booked in the Marshall County Jail where he is being held without bond.